This is a guest post by Paul, If you wish to write a guest post for us, click here to check guidelines. How fast is your internet connection, really? 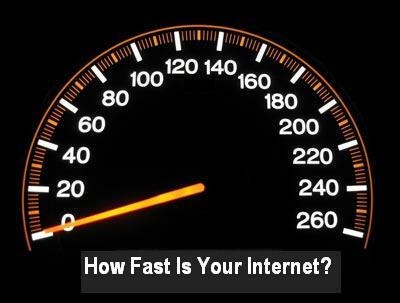 Have you ever tested it, or are you just relying on the speed your ISP claims to be delivering. There is every probability you pay hundreds of dollars for internet access every year, probably because you believe you are getting a particular kind of speed your ISP promised; what if you aren’t really getting that speed? What if you’re being shortchanged by your ISP? I have been in the broadband space for years now, and I help people get the best deals from their ISPs. One major aspect I specialize in is that of broadband speed test, and as a result, I’ll be giving you a few tips below to help you get your real internet speed. So many people don’t even know how fast their internet is, and they also don’t have any idea how to test it; the good news is that there are now countless websites online helping people determine their real internet speed. With most of these tools, it doesn’t matter whether you want to test the speed of your mobile phone or that of your computer, you will be able to know the real speed of your internet connection. Online speed test sites also allow you to choose servers closer to you to ensure the accuracy of your results, and they also give tips to help you improve your internet speed. While using speed test sites might be a great way to know how fast your computer really is, it is very important for you to realize that a lot of factors will determine how accurate your speed test is. One of these factors is how many computer windows, or how many web browsers, are opened. The first step you need to take when trying to determine your real speed with a speed test site is to close any windows or browsers that might be using your internet connection; leaving those windows opened will affect the accuracy of your results while closing them will increase your chances of getting a perfect result. It is also very important that you’re wary of background applications consuming your bandwidth. Some of these applications could be your antivirus, online synchronization software, or any other kind of software that does one form of activity or the other over the internet. In fact, the reason why most internet connection is very slow is because of background applications consuming bandwidth, so make sure you don’t ignore this. The final thing you should consider is that the speed you will get will vary depending on your period of activity. In other words, you need to realize that the speed you will get during peak and off peak periods will differ, so you need to test your internet connection during these two periods to note the difference and to see how accurate your speed is. If you’re looking for more about broadband internet make sure you check out the Broadband Expert website. Prepaid Vs. Postpaid SIM Option - Which Is better?